I couple of days ago, I wrote a guest post for Erin over at Creative Soul In Motion. And now she's writing one for me! This is why I love blogging—you never know who is going to read your blog, or what will become of their interest in your blog. For example, although we've never met in person, Erin and I have chit-chatted via email a few times. Mostly blog talk, but still. She's cool! When she asked for a guest post, I jumped at the chance and of course I asked for one in return. Or maybe it was the other way around. I can't remember, and it doesn't matter. I think you'll like what she's got to say. Hi everyone! I'm Erin, the foodie-writer-artist-fitness lover over at Creative Soul In Motion and I am so excited to guest blog for Tara over here at A Daily Dose of Fit. As a newbie in the blogging world, I super appreciate Tara's helpful advice and insights as I maneuver through the blogging world, and when she asked me to guest blog I was overjoyed. Seriously. I even did a fist pump in the air at my desk. Anyways, earlier in the week over at my blog I admitted that I'm not always the most punctual person and stated that my Weekly Goal is to be on time. Now, I'll be the first to confess that it's hard to balance everything I want to accomplish in a day. Twenty-four hours just doesn't seem enough for all of my responsibilities, obligations, projects, hopes and aspirations and on top of that I love my body and need time to exercise, eat healthy, fresh foods and recharge. WOW! Just writing all of that out makes it seem impossible to fit into one day. But you know, I think we can do it and keep our sanity all at the same time. Before you start planning out your time you need to figure out exactly what is important to you and what you want to accomplish. I find it's best to think of your goals in three different stages: yearly, monthly and weekly. Once you define your goals, it's extremely helpful to post them somewhere visible to help you keep focused and committed. 2) Plan out your days and weeks. Every Sunday, I like to spend an hour or so literally planning out what I want to accomplish throughout the week. Depending on where I am in relation to my "Yearly Goals" I may devote all of my time to 1 or 2 projects, other times I will plan lots of time for errands, cleaning and social events. No matter what you have going on, by planning your week out in advance you can see where you have some extra time and it can help you feel like you have a bit more control over the week's events. I want to repeat this because it's one of the only ways I stay sane, it is super helpful and makes your life easier: write everything down. Even if you have a great memory, by jotting down all of your responsibilities, tasks, goals, events and plans you will free up valuable space in your mind. I use a few devices to help me keep everything in order: A) I carry a little notebook to jot down anything and everything that comes to mind when I'm on the go, B) the checklist on my Blackberry is super useful to keep track of the small tasks I want to accomplish at night and the calendar helps me remember where I need to be and when, C) I keep work tasks in a separate daily planner so that I know what I need to do at the office versus at home. 4) Schedule in down time and workouts. To ensure that I don't miss my workouts, I literally schedule them into my Outlook calendar so that I don't forget. Also, it's SO important to give yourself time to just rest and recuperate—maybe use this time to go for a nice stroll or read a book, either way you need to schedule in "me" time. 5) Stay focused on the task at hand. Everyone loves multi-tasking but honestly jumping from one task to another and back again doesn't doesn't give your mind time to really focus and it can cause things to take a lot longer than they should. So try focusing on just one task at a time; if you need help set a timer for 5 or 10 minutes, and every time it goes off you can surf the web or check your mail for a minute or two, but then go back to your project and reset the timer—this should help you re-learn how to focus. This is one of my favorite ways to make sure that my body is getting some exercise every day. In the morning, I stretch with cat and cow and the do 50 crunches before I shower. When I get home from work, I do 10 squats and another 50 crunches after I change. Finally, before bed I do 10 wall pushups and 10 chair squats. I just started doing this and I love it because it's easy, takes only a few minutes and gives you a quick burst of energy! 7) Enlist help when you need it. I know we all want to be rock stars and do everything ourselves but it's not necessary at all. Asking for help doesn't mean you're weak or incapable, what it means is that you're smart enough to ask for help when you need it. So put your pride aside and remember that your friends, family members and co-workers are there to help you! 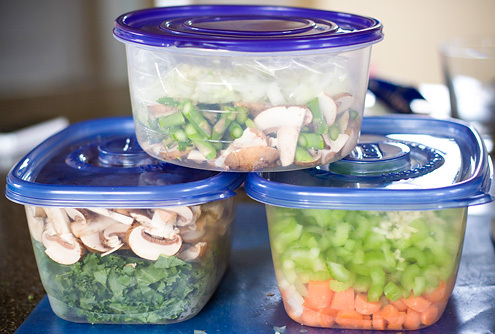 8) Prep your lunch and dinners for the week. Before I go food shopping I like to come up with 6 dinners I plan on making during the week. That way I know what I need at the store and don't have to come up with ideas when I get home from work. Also, I am a HUGE fan of leftovers for lunch so I always plan on making a little extra to bring to work with me the next day(s). Finally, I always make sure to have some quick, healthy snacks on hand for days that I'm traveling or in a rush. In the end, I am using this week to reclaim my days and you should, too! 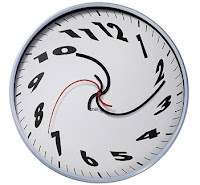 So, rather than being a slave to the clock, make your time work for you and definitely share any time management tips that you find useful so I can add them to my arsenal! You can send me a message through my site, Creative Soul In Motion. Thanks for the great post, Erin! Such wonderful tips on time management, which is something I think we all struggle with in one way, shape or form. Especially when it comes to fitness. Because remember, a fit life is only successful when diet and exercise mesh with everything else you've got going on. Never sacrifice your sanity, social life or sleep for exercise. You must, absolutely must find a way to achieve balance. Without it, you lose more than you think. Tune in tomorrow to see if you won the variety pack of Pure bars! Question: What's your secret to time management? A foam roller workout just for you! "To the beat of our noisy hearts..."
WIN THIS: A variety pack of Pure bars! I could walk for miles. Ready to workout in the park? Do you taper before a race? On comments and Link Love. WIN THIS: A cookbook from Terry Walters! Surprise! I can still run 9 miles.